Vendor Management is not just a part of SCM but part of total business process. Vendor management covers the management process of both the vendors of direct and indirect product’s vendor . The vendor should be considered as a part for an organization. Vendors have to be trained and brought to the level at which the organization is working. The vendor must be fully aware of the production process and planning. He/she has to be connected to the full business process. Vendor management does not mean frequent changing of vendors. Vendors should be fully integrated in to the system of the organization. Once this happens, then the Vendor can start contributing to the chain and the objective of the organization will be achieved. Modern Vendor management requires looking into Inventory management, purchase process & management, production management and planning, distribution management last is human resource development. It is a comprehensive activity for an organization. Vendor secretion therefore is a very important function of the management. Through this report an individual can expect to have a good knowledge of vendor management system of Nokia Siemens Networks Bangladesh Ltd. In last ten weeks of internship program I have tried my level best to know about the total vendor management process of Nokia Siemens Bangladesh Limited .All the secondary data used for the purpose of preparing report is approximate figure, not the accurate one. Part – III: project part will cover the background of the study, research problem, problem statement, broad and specific objective, research question and hypothesis, limitation, literature review. Part – VI: This part will cover major findings conclusion and recommendations. Every day a quarter of the world’s population connect using Nokia Siemens Networks infrastructure and solutions. This is a significant part of the resource that, by 2015, will connect five billion people and many more devices and applications. As a result, we really understand the challenges facing you today. We know you need something different to put you ahead of the curve – not just more of the same. Our team of more than 60,000 dedicated professionals in more than 150 countries stands ready to help you transform your network, operations and ultimately, your business, to deliver better, more unique experiences for your customers. We constantly innovate to provide the smartest solutions, and we have the reach and depth to make those solutions a reality. We understand that changes in one place can have unforeseen consequences in another. So we develop solutions that take into account the bigger picture. And we’ve proven ourselves, time and again. Nokia Siemens Networks (NSN) is one of the largest telecommunicate ions equipment suppliers in the world. NSN was created as a result of joint venture between Siemens AG’s COM division (minus its enterprise business unit) and Nokia’s network business Group. On June 19, 2006 Nokia and Siemens AG announced the companies would merge their mobile and fixed line phone network equipment businesses to create one of the worlds’ largest network firms, Nokia Siemens Networks. Each company has a 50% stake in the infrastructure company. Nokia Siemens Networks was officially launched at 3GSM World Congress in Barcelona in February 2007. Nokia Siemens Networks then began full operations on April1, 2007 and has its head quarters in Espoo, Greater Helsinki, Finland, while the west-south Europe head quarters and three of its five divisions are based in Munich, Germany. The service division is based in India. 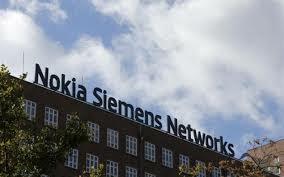 Nokia Siemens Networks operates in approximately 200 countries worldwide and has about 60,000 employees. About 20,000 Nokia employees were transferred to this new company. Its major manufacturing sites are in China, Finland, Germany, Poland and India. About 1 billion people are connected through its networks. The customer base of Nokia Siemens Networks includes 1,400 customers in 150 countries (including more than 600 operator customers). It is foreseen that, at combined 2005 revenue of more than 1.5 billion Euro a year by 2010. NSN customers required end to end solutions and the pace of their requirements will accelerate in future. NSN can help change the way they do business and capture value. The company believes to listen to the customers, innovate together and solve customers’ most pressing business challenges. NSN bring the benefits of scale and global reach plus a deep understanding of operator business and industry-leading research and development organization, and wide range of services, products and situations to our customers. But, to success in rapidly evolving communications industry, scale is not enough. Therefore NSN are building an organization and culture that constantly evolves to address our customers’ key challenges and lead industry change. The explosive growth of network and internet traffic, both in terms of bandwidth and subscribers, represents a great opportunity for operators and equipment providers. However the legacy o enabled through innovative, that the traditional telecoms business has resulted in complex and partly overlapping network layering and architecture. The complexity of network architecture enabled through innovative environmentally sustainable situations that enable rapid growth. Nokia Siemens Networks start as an undisputed industry leader with the scale and ambition to become the number one enabler of communication services. Already holding a top three position in the telecommunications infrastructure industry, NSN are ideally positioned t utilize our strong end to end convergence capabilities for future growth. Nokia Siemens Networks are continuing the legacy of two companies that shaped the communications industry. Siemens has been a pioneer in the communications industry since in the mid 19th century while Nokia pioneered the development of mobile communications and become the world leader in this field. Insights and learning’s of opportunities in different industries. Nokia Siemens Networks Bangladesh Ltd.
Nokia Siemens Networks is one of the largest telecommunications hardware, software and professional services companies in the world. It began operations in Bangladesh on May1, 2007. The company’s workforce in t he country totals 131 people who are located in Dhaka, and are involved in operations, marketing, services and support. Nokia Siemense networks is one of the top three network suppliers in Bangladesh and a vendor of choice for all major fixed and mobile Communication Service Providers. Its customers in the country include Banglalink ( Orascom Telecom Bangladesh Ltd ), Teletalk Bangladesh Ltd, Grameenphone Ltd (joint venture between Telenor and Grameen Telecom Corporation), Citycell (Pacific Bangladesh Telecom Ltd.) and Axiata Bangladesh Limited. It also caters nontraditional players such as the Directorate General of Defense Purchase (DGDP). The company offers a wide range of its products and solutions for radio access, transmission (microwave and optical backbone), switching, Home Location Register (HLR) and Intelligent Network (IN) technology in Bangladesh. With more than 3,000 base station sites supplied, installed and commissioned; 1,100 PDH and SDH links deployed; and over 1,500 km of optical fiber backbone installed in the past three years, Nokia Siemens Networks Bangladesh enjoys a remarkable track record in providing a gamut of services, including implementation and support, to its customers. As responsible corporate citizen Nokia Siemens Networks Bangladesh is focused on deriving improvements in various areas. It is involved in disaster relief, social welfare and environmental protection amongst other initiatives. For example, it organized help and donation drive for victims of cyclone Sidr. Until now, development in our industry has mainly been a matter of delivering connections – more, faster, cheaper, and more efficient. This is still important. The connectivity explosion continues, and by 2015 we know that 5 billion people and further billions of devices will be connected. So, we must continue applying our expertise in order to deliver on the reality of hundred-fold increases in traffic. The future of service is largely network-based. Internet applications hosted in the ‘cloud’ (email, social networking sites, corporate service and communication tools, etc. ), already account for a large proportion of the services people access every day. Every day, therefore, quality of network experience has more and more to do with quality of life. Today, however, we are also focusing like never before on delivering quality – quality experience. We can see that a more open, collaborative and customer-centric way of working could bring so much more value to billions of individuals, and to millions of businesses. We at Nokia Siemens Networks must drive that change by leaving the closed and proprietary mindset behind, and leading the way in a new spirit of openness and collaboration. Our customers, Communications Service Providers (CSPs), face challenges on all fronts: the need to increase efficiency keeps pressure on capital and operational costs; the dramatic rise in traffic due to the proliferation of internet applications demands new business models for monetization; and an ever fiercer competitive climate is challenging CSPs to prove they can retain the customers they have and win back any they might have lost. Nokia Siemens Networks will play a vital role in helping CSPs meet these challenges. This role is our mission – it’s about building value. We have built value by addressing efficiency, and we continue to do that. But we also need to address the customer’s need for a better experience, because it’s experience that builds relationships, and relationships that build value. We believe that CSPs can ultimately enable and deliver a “segment of one” – where they can define and enhance the service experience for each and every individual. A customer whose communications experience fits and works for them don’t change operators. And operators who can devote themselves to enriching the customer’s experience build stronger, more lasting and profitable customer relationships. The individual communications experience is the greatest value a communications service provider can deliver to their customer, and so it’s the greatest value we can support communications service providers in delivering. Our vision acknowledges that communications service providers need to manage this complexity wisely, ensuring the necessary security and authentication for users, while having the ability to profitably deliver a customized experience, based on a person’s locations, context, device, usage patterns and preferences. With three dedicated sales units covering these areas. The quad play of high-speed Internet, voice (VoIP), and video services (DVB/IPTV) in fixed networks, together with mobile connectivity – plus the steadily increasing demand for bandwidth that goes with it – are today’s challenges for fixed and mobile operators and ISPs, both on the access and the transport side. These switches fit well into a variety of deployment scenarios for city networks or Enterprise connectivity solutions. Nokia Siemens Networks’ carrier-grade cost-effective Carrier Ethernet switches provide scalable traffic-engineered Ethernet services delivery capabilities while emphasizing simple operation and network administration. This family of ATM and IP DSLAMs brings up to 100Mbps to the end user on existing copper infrastructure – carrier-grade without compromises. For many operators, boosting traffic volume by aggressively introducing new services is an important way to increase revenue. What’s needed is a scalable DWDM system that offers short implementation time and easy operation. The IP networking business line within IP Transport also offers a comprehensive range of carrier-grade IP network solutions covering Core, Edge, BRAS and multi-service routers, and will continue to provide IP Connectivity solutions for telecommunications evolution with best-of-breed partner products. The MWR business line within IP Transport is also in a strong position to become number one in the global microwave radio market in all application segments of mobile, fixed and utilities – with both ETSI and ANSI standards and a proposed broad portfolio of PDH and SDH access, SDH trunk and point-to-multipoint products. These solutions are for both CSPs and dedicated network operators. They are designed to deliver true multi service capabilities and to support a very wide range of legacy voice and data interfaces. Under Next Generation Metro, IP Transport has a complete and scalable Next Generation SDH Multi-service provisioning platform (MSPP) and packet transport portfolio. Our worldwide footprint consists of more than 16,000 MSPP systems deployed and running and more than 100 customers in more than 70 countries. OSS connectivity management integrates different access technologies under a single, intelligent management solution, freeing maintenance resources to be deployed elsewhere. Sometimes it’s nice to have a little help. Maybe it’s an error message you’ve never seen before. Or you need a good starting point for troubleshooting. Or you want to make a suggestion that will make the product work better – and everyone’s job easier – in the future. But the person helping you needs to speak your language. They need to know what you mean when you talk about a CNXDCNMX configuration, tracing an RNC link or copying a CCMA tree. Without deep technical knowledge, any help is bound to be incomplete and leave you frustrated. These are just some of the reason to use Nokia Siemens Networks Share, the support forum and community for Nokia Siemens Networks OSS and BSS products. The idea behind Share is simple: bring together everyday users and product experts in one online forum where you can ask questions and share your knowledge. Traffica provides real-time visibility of end-user activity across the whole network – right down to the cell level – by collecting detailed information directly from network elements. Yet Traffica is far more than a data collection and service quality monitoring system. Innovative applications can be built on top of Traffica to support every area of the business. CSPs face a number of big challenges in meeting the needs of customers and staying ahead of the competition. Even in these difficult economic times, we can help you gain market-share and improve profitability by offering the most attractive services to your customers. Drawing on our field-proven ideas, innovations and solutions, we are committed to helping you improve the efficiency and profitability of your business. At Public and Corporate Solutions, we provide specialist communications solutions for customers beyond the telecommunications industry. Network Implementation offers a wide range of deployment solutions for operators that want to build, expand or modernize a communications network. Proposed deployment solutions can include project management, network design, logistics, site acquisition, construction works and implementation services depending on the scope of deployment. The main Network Implementation solutions – Managed Deployment, Network Build, Network Consolidation, Turnkey and Outside Plant – have all been tailored to meet the needs of operators in different markets, during different phases of the business lifecycle. The objective of the Network Implementation solutions is to help operators speed up the time to commercial launches and to provide cost-effective implementation solutions that lower the lifetime cost of their network ownership in terms of both CAPEX and OPEX. With joint presence in 120+ countries, more than 4,000 combined professionals in-house and experience from more than 500 combined deployment projects worldwide, Network Implementation has the mindset, resources, expertise and experience to really make a difference. With the world becoming increasingly connected, protecting your data is a key issue – and one that now affects the mobile world. New types of virus have been developed specifically to attack mobile systems, leading to data loss, access violations, malfunctions and downtime. These security attacks and fraud can cost you money and customers. A secure network does not just protect you from threats – it also allows you to offer new services to your customers. Mobile operators agree that customers, especially businesses, value secure services – and are willing to pay for them. Security services will soon be a key revenue generator for mobile operators. We have the knowledge to help you offer your customers these valuable secure services, while protecting yourself from security threats. We offer extensive experience from over 100 security projects and a combination of telecoms, IT and security know-how. Understanding your specific problems and fixing them helps us to relieve the pain to deliver Real Business results. We tailor our services to your needs, finding the best combination of technology and knowledge. Our security services work to find the most efficient and effective means of securing your network. We use a range of tests and analyses to find the gaps in your security and identify the threats relevant to your network and business. We then help you design and implement security strategies, processes and policies. The Channel Partner Program delivers high performance and service quality to customers. It combines Nokia Siemens Networks’ global technology leadership and support with the local expertise and market understanding of our channel partners. The partners we choose to work with have proven capability, assessed according to our high quality and reliability standards, and are well positioned to develop and implement the solutions that customers really need. The results are carrier-grade communications networks enhancing operational efficiency and safety. For partners, our co-operative framework offers a best-of-breed technology portfolio, support, training and exclusive use of the Nokia Siemens Networks brand. We work with partners in four major market areas: Utilities*, Transportation, Public Sector and Enterprises. For customers in these markets telecommunications is not the core (revenue generating) business, but reliable communications are still essential to support mission-critical activities. Customers require their own, dedicated networks because public networks are either non-existent or unable to deliver the required bandwidth, network availability, service quality or security. Operators are concerned to achieve the best possible quality and performance of their networks and to give their users maximum availability of services and applications Nokia Siemens Networks’ Care process helps meet these ambitions by helping operators to maintain the availability and performance of their networks end-to-end. It does this by providing efficient after-sales services. These range from Classic Care services such as answering technical queries and providing emergency support and hardware repairs, to the innovative Connected Care offering based on the philosophy of “performance protection through avoidance”. Using a solutions approach, the challenges facing an operator are analyzed and then matched to appropriate services, ensuring that operators get a customized maintenance solution that is a perfect match to their business needs. Teaming up with Nokia Siemens Networks Care means that operators’ customers are always connected. It also means that operators can get everything they need, from a small set of classic maintenance services up to entirely Managed Care offerings where Nokia Siemens Networks takes care of entire functionalities. In addition to the traditional maintenance services for software and hardware, Nokia Siemens Networks also provides competence development services. These identify competence development needs and create customized learning solutions to allow the operator’s staff to reach their full potential as technologies and markets change. The Nokia Siemens Networks Care organization is worldwide distributed and has 6,000 world-class experts around the world, providing high technical and methodological expertise in new service launches and service management, for both Nokia Siemens Networks and third-party products. Building long-lasting professional relationships with operators is a major pillar of our operations. This is reflected in Nokia Siemens Networks’ Extended Care offering, which continues to support products that have been discontinued and so extend their life span. With its Care services, Nokia Siemens Networks proves itself a reliable partner with efficient processes, a flexible portfolio and innovative answers to the challenges of today and tomorrow. To help Communication Service Provides (CSPs) make the most of market opportunities, we offer a unique way to transform, accelerate and drive their business forward. Feedback from a workshop focused on helping CSPs analyze their positioning and build a transformation roadmap. With our collaborative methodology, we provide the expertise, experience and practical tools to help optimize their evolution while keeping the focus on customer experience and satisfaction. The defining idea is to help CSPs identify the ideal position in the markets – and then uncover the best route to get there. Profitably and with a sustainable business case. Working together, we examine how CSPs are positioned in the business ecosystem. Exploring the many strategic options available in today’s industry, we analyze which roles are most likely to let CSPs differentiate and achieve their business objectives. Time-to-market at the right time is the key. There are always new opportunities in the market. Innovating together can be an eye-opening experience. Based on an understanding of likely future scenarios, CSPs can implement profitable business models and opportunities emerging in the changing markets. CSP transformation roadmaps are based on deep understanding. Working together, we create business acceleration roadmaps for our customers. Our approach is all about discovering the best route to the optimal market position to achieve business success. At Nokia Siemens Networks, we help communications service providers build more valuable customer relationships. Below are some recent highlights of our customers’ successes. As sole supplier of Vodafone’s MMS Hosting Center in Milan, Nokia Siemens Networks has deployed an innovative platform using standard hardware and the industry’s leading MMS Center to upgrade the center’s capabilities, reduce operational costs and meet future demands. The upgrade was achieved with no disruption to MMS services for up to 100 million Vodafone subscribers worldwide. Belgacom’s vision is to drive and grow the market with innovation, and a core attribute is Belgacom TV. A trusted partnership with Nokia Siemens Networks helped Belgacom realize their vision with IPTV, and the flexible, open platform has prepared them to become a multi-screen TV pioneer, offering an enriched customer TV experience. With a subscriber base growing by more than 3 million per month and a restricted spectrum allocation, one GSM service provider in the Indian market needed a cost-effective way to maintain its quality of service and accommodate the growing subscriber base without resorting to a large-scale deployment of new sites. In our corporate responsibility activities, we essentially seek to “do the right thing” by three key stakeholders: our employees, our customers, and the planet. We want to maintain an active and open dialogue with many more entities to improve our performance and find new and better ways to serve our key stakeholders. We want our corporate responsibility actions and our motives for doing them to be honest and transparent. Our primary responsibility is to target growth and profitability; we need ensure the future of our operations. To succeed, we must intertwine corporate responsibility and our business – either to support our existing business objectives, or even to make new business with it. When we run a successful business, we can extend our sustainability thinking also outside of our company; to our customers, our industry and beyond. Mitigate corporate responsibility risks: the foundation of corporate responsibility is to respect all relevant laws and regulations and international standards, and create an organization where ethical business practice is a source of pride and push for high ethical standards in our supply chain. Minimize our environmental impact: reduce our footprint and help our customers reduce theirs. Maximize our positive impact: use our core competencies beyond our industry sector for environmental benefit, contribute positively in the communities where we are present and fight corruption to the benefit of all. Competencies are crucial building blocks to achieve business success. With Nokia Siemens Networks, you can ensure your network is being effectively managed by competent personnel which improves subscriber experience, decreases churn and leads to added revenue. With optimized solutions, processes and people management you gain improved allocation of staff resources, operational efficiencies and job satisfaction. You can achieve a better match for your requirements and more focused learning with tailored, modular and task-oriented competence development packages. You can realize the full potential of your personnel resources as technologies and markets change with Nokia Siemens Network’s learning. Regardless of what the business is, vendors play a key role in the success of business. Good practices of vendor management will build a mutually strong relationship with vendors which will strengthen company’s overall performance in the marketplace. Ignoring these sound vendor management principles will result in a dysfunctional relationship that will have the potential to negatively impact business. The time, money and energy used to nurture a positive vendor relationship cannot be measured directly against the company’s bottom line. However, a well managed vendor relationship will result in increased customer satisfaction, reduced costs, better quality, and better service from the vendor. When and if problems arise, rest assured that a well managed vendor will be quick to remedy the situation. Vendor management covers the whole cycle starting from vendor selection to the end, payment after receiving the goods. A servicer providing organization like Nokia Siemens Networks Bangladesh Limited needs to deal will lots of vendors for its purchase of direct and indirect goods and services. Nokia Siemens Networks Bangladesh Limited already have a very well instructed polices for vendor management. This research paper on “Critical Analysis of Vendor Management System” will explain the way the go through and also provide some recommendation for better management of vendors. Though Nokia Siemens Networks Limited in its four years of business life have not conducted research on vendor management system but the preliminary objective of doing this research is to fulfillment of MBA course requirement. This study will have both practical and academic value, as there is dearth of research in this area in Bangladesh, this study will add to the existing knowledge. On the other hand the finding of this study will help policy makers for taking appropriate measure. For running the business every organization go for purchase of direct and indirect products. For this purpose organization have deal with different types of vendors. Selecting, contracting, negotiating and managing those vendors cover an important part of business. Furthermore, good vendor management system helps to build good relationship with vendors along with saving of cost and time which affect the profitability of the organization. To know how the organization select and deal with its vendors? How is the perception of vendors towards the organization as a customer? What do both party thinks may improve the relationship? And what is its impact on business? This research will find out the key points for better management of vendors. To critically analyze the vendor management system of Nokia Siemens Networks Limited and its impact on its business. To develop the ability to transform the theoretical knowledge and understanding obtained from the course in practice and to experience the real life situation, the report wa assigned by my supervisor Major AHM Yeaseen Chowdhury. This report can be designated as practical demonstration of the Theories and Practices. The purpose of the study is to have an overall idea about NSN focusing on critical analysis of the total vendor management system and its impact on their business and also to find out way of improving the process. ii. To give a generalize idea of vendor management system for direct and indirect procurement of NSN BD Ltd.
iii. To analyze the process of ordering product using MyOrder tools in indirect procurement process. vi. To find out whether there is any relationship between the state of current practice and vendor development. vii. To find out whether NSN as a green company chose those supplier who produces environment friendly goods and services or not. x. To find out the rate of implementation of contract in the case of service contract with third party. xi. To show the vendors perception towards NSN as a customer. xii. To show the impact of vendor management system on business of NSN BD LTD.
How employees of NSN using MyOrder tools as the best way of ordering and purchasing a product in the case of indirect procurement? Justification: Purchasing indirect product for office uses is crucial for an organization like NSN, where latest technological electronic product and software’s are purchased as per employees requisition along with other regular product. The question regarding the order and purchase process will help NSN to identify if there is any scope of improvement in this process. How NSN process their invoice payments for their vendors? Justification: To get better output from vendor maintaining a good relationship is very important. For that payment system is one of the most important parts for vendor management. On time payment and shorter credit period is better for vendor, but longer period is better for NSN, this question will clarify how they balance the interest of both party. Does NSN BD Ltd. deals with its vendor as strategic partner? and works for vendor development? Justification: In this widely competitive business world vendor/ Supplier development is one of the most important job for a service oriented organization like NSN. They depend largely on the contractor for installation service which is very important. Does NSN BD Ltd. deals works for vendor development? Justification: This will help to find out their level of help in development. Being a green Company, does NSN give importance on Environment friendly goods? Justification: NSN claims that they are a green company, so choosing environment friendly products is an important issue in case of selecting suppliers. Is there any change in cycle time for procurement of a product in a year? Justification: Decrease in cycle time in procurement of product shows the increase in efficiency in procurement, which saves time and cost. Is rate of purchase increasing? Justification: Increase in purchase reflects that there is growth in business both in the case of direct and indirect procurement. Does NSN BD successfully implement the entire contract in the case of service contract with third party? What is the vendor’s perception towards NSN as a customer? Justification: Vendors perception towards NSN as a customer reflects the relationship between vendor and NSN BD Ltd, this will also help to find out the way of even better relationship with vendor. Null Hypothesis H0: 70% employees think that using my order tolls is the best way for ordering and purchasing indirect products. Alternative Hypothesis H1: Less than 70% employees think that using my order tolls is the best way for ordering and purchasing indirect products. Alternative Hypothesis H1: Less than 75% employees think that Cycle time for procurement has decreased less than 7 days each year. Null Hypothesis H0: More than 80% employees believe that all the contracts for procurement of NSN BD LTD. have been successfully implemented. Alternative Hypothesis H1: Less than 80% employees believe that all the contracts for procurement of NSN BD Ltd. have been successfully implemented. Relevant papers and documents were not available with sufficient data. Enough information was not found because most of the information are confidential and not disclose able to any person except the employees of NSN. The system software NSN uses is used globally so the contribution of NSN Bangladesh is tough to separate and evaluate. Their financial reports for NSN BD is prepared just for legal and tax purpose which is confidential. In spite of my sincerity, some mistakes can be occurred. I admit my responsibility for those inadvertent mistakes, if there will any. A number of previous studies (U.S. Bureau of the Census, 1991; Fearon and Bales, 1995) indicate that the role of the Purchasing Department is much smaller in the purchase of nontraditional (non-product related) goods and services than commonly believed. These nontraditional. (non-product related) areas, such as insurance, utilities, consultancy, travel and advertising, are likely to be purchased without the involvement of professional buying practice and skills. the Purchasing Department had no input to the purchase of nontraditional goods and services (e.g. in 39% of the firms, there was no involvement in the purchasing of services, in 55% of the firms there was no involvement in the purchasing of utilities). Similarly, in another study made in 1995, Center for Advanced Purchasing Studies (CAPS) found that from the total of $ 140.3 billion purchased by the 116 organizations, only 41 percent was spent by the purchasing department, 59 percent was spent outside of the purchasing department. From these 59 percent: 41.55 percent was spent by some other nine departments (transportation, finance, administration, human relations, etc.) and for 17.45 percent the study couldn’t identify the buyers. The research highlights the purchase dollars spend of the total 116 organizations for the largest ten goods and services. The purchasing department apparently had very little input in the purchase of the majority of services and also had a smaller input in the purchase of non-product related goods. In Michels. view (1996), a purchasing department can be involved in three different ways: (1) purchasing can be directly involved in NPR purchasing; (2) purchasing can act as an internal consultant/advisor for NPR purchase buyers; (3) purchasing can act as a cross functional team member dealing with nontraditional expenditures. Results of a recent Purchasing Magazine survey of 1000 corporate buyers nationwide show that purchasing departments take on many activities for service procurement that were once left to the using departments. From a total of 1000 respondents: 70 percent were involved in contract negotiations; 63 percent were involved in supplier selection; 58 percent were involved in contract management; and 5 percent were involved in setting specifications. As the study shows, the purchasing department has become more involve in the tactical procurement of NPR goods and services. Apparently, these purchasing departments have started to realize that there are numerous opportunities in the NPR procurement and that they have the skills and expertise to ensure that the company receives the best value. While benefits of involving purchasing department in the NPR purchasing process may be numerous there are also several major challenges of involving purchasing department in the NPR procurement. Purchasing involvement is subject to horizontal resistance and vertical ignorance. In other words: top management does not seem to actively use the purchasing department as a means for keeping sufficient control on NPR purchasing. In order to get a better understanding of how purchasing’s involvement comes about, we attempt to transfer some basic insights from (inter-) organizational theory on the topic of organizing NPR purchasing. The strategic importance of vendor selection and subsequent assessment is well established in the literature of business purchasing, beginning with the seminal work on vendor selection criteria published in 1966 (Weber, 1996). Significant research continues to be done on this topic in part because of its particular relevance to manufacturers in a just-in-time environment where vendor price, quality, and delivery are key performance criteria. There are even numerous trade journals and scholarly journals devoted to vendor relations and performance evaluation. Among them are Supply Management, Materials Management and Distribution, Journal of Supply Chain Management, and Summit (a Canadian magazine about public sector purchasing). Weber describes the three common and flawed current approaches to vendor evaluation (1996). First is the “categorical or key-factor rating method” in which potential vendors are assigned subjective, largely intuitive, ratings based on the evaluator’s judgment and experience. A second current method is the complex “cost-ratio method” which requires a comprehensive, precise cost-accounting system to determine the buyer’s internal operating costs associated with the vendor’s quality, delivery, and service. The third common approach, the “linear average or weighted-point method,” modifies the first method by providing numerical weights to the subjective evaluation criteria. Many other approaches have been described and proposed in the literature. Researchers have suggested using more objective quantitative approaches, including mathematical programming models, statistical approaches, and analytical hierarchical processing. Weber, for instance, demonstrated the use of a mathematical programming model employing data envelopment analysis to measure vendor performance on multiple criteria and to identify comparative benchmark values (1996, p.28; see also Talluri, Narasimhan, & Nair, 2006, p.212). Dogan and Sahin employed mathematical models to select vendors using activity-based costing and fuzzy present-worth techniques (2003, p.420). Babu and Sharma gave an example of analytical hierarchy processing (2005, p.101). Still other researchers proposed methods which combine both objective and subjective data. An example is Li, Fun, & Hung, who used two-dimensional analysis to propose a performance measure based on both quantitative and qualitative criteria (1997, p.753). Going the opposite direction are other research groups which proposed vendor performance measurements based on an evolutionary fuzzy system for evaluating attributes described linguistically (Ohdar & Ray, 2004, p.723; Jain, Tiwari, & Chan, 2004, p.735). Given the vast array of approaches to vendor evaluation and the fact that no single evaluation method is completely satisfactory, there is now research relating to strategies for choosing an evaluation technique. Purdy and Safayeni discuss the advantages and limitations of a variety of methods for evaluating potential and current suppliers, and they classify the methods by whether the focus is on information from product- or process-based domains and whether the information acquisition mode is direct or indirect (2000, p.435). They posit that buyers normally must use indirect methods for evaluation of potential vendors and that buyers should use methods in all four categories once a vendor relationship has been established (p.441). Vendor evaluation strategies exist within the context of an organization and its processes. Choosing an assessment approach is just one of the seven steps of a process of developing and deploying vendor assessment outlined by Gordon (2005, p.20). Although this article is found in a trade press, it includes a useful bibliography of books about supplier evaluation and managing relationships with suppliers. Another aspect to consider is that many of the assessment techniques require technological tools such as software packages. Examples of descriptions of such software implementations were provided by Choy, Lee, and Lo (2004, p.191), by Humphreys, Huang, and Cadden (2005, p.147), and by Lau et al. (2005, p.61). The report will be based on both primary and secondary data that we will collect from various sources. The details of all the books and journals that will use in this report will be shown in the bibliography. The focus of this report will be based on the activities of procurement of product and service of NSN Bangladesh Ltd. It will cover both the direct and the indirect procurement process only for those products for which NSN BD directly takes its decisions of vendor assessment and selection, purchasing process and payment system of NSN Bangladesh. This report will not cover that part of procurement where decisions are made globally. In case showing impact of vendor management on its business, the impact of cost saving in direct and indirect procurement on the profitability of Nokia Siemens Networks Limited. A descriptive research will be designed and structured questionnaires were developed for conducting surveys. Questionnaire survey and face to face interview technique was used for employees of NSN BD Ltd. On the other hand, telephone survey and also personal interview technique is used for vendor’s survey. Some factors such as time, money, difficulty in survey of vendor will influence the research design. Basically the research has done under survey method. An experimental method will very costly. For doing this survey based report at first I have gone through previously published reports relevant to my topic to find out the key points for the research and then went for exploratory research buy talking to the employees working in this field. Doing this exploratory research I have generated the idea about the hypothetical means I have taken for the research. For the employees of NSN as the population is known, the employees of NSN BD Ltd. are divided into two strata’s. In one strata there are employees who are working in technical side and not related directly or indirectly with the system of vendor management (Service Unit) and the other one is the employees directly or indirectly related (CT unit, SSM, F&C, HR, IT, WME, OML) with the process simple random sampling is good and for the vendors as it is tough to get the of population as NSN BD Ltd. purchase a wide range of products inside and outside of the country. So it was not possible to know the number of vendor of NSN BD Ltd. The population size of NSN BD LTD is unknown, so from the above calculation the sample size found is 41, but it is really tough to conduct survey of vendors. Here non probabilistic convenient sampling is done, and for the vendor the convenience sample size is 10 as NSN BD permitted to contract. In order to analyze data some measurement and scaling procedure is used. Two types of scales such as nominal and ordinal scale are used. Nominal scale is used to identify classify objects. Ordinal scale is used to indicate the relative position of the objects. Interval scale is used to differentiate the objects (Attitude and opinion of the customers). Leading & loaded questions is avoided. Statistical Analysis: Appropriate statistical tools are used to analyze the data. Number of tools is used for this reason. The primary data from the questionnaire will be placed in SPSS database. Chi Square test, Frequency distribution and arithmetic mean, correlation, regression, Z test and T test is used to analyze data. Cross tabulation is used to find out various relationships with various variables. All these analysis will be done through the use of SPSS for Windows software. To show the global practice of vendor management system in current days. To know about recent practice of vendor management system at first we have to know what is vendor management? Vendor management is the system of establishing service, quality, cost, and satisfaction goals and selecting and managing third party companies to consistently meet these goals. Establishing Goals – Just as employees need clearly established goals, operations need clearly defined performance parameters. When selecting or managing vendors, vendor managers must optimize their opportunity to achieve these goals by using third parties companies. Selecting Vendors – The fine art of vendor management is essential to optimizing operational results. Different vendors have different strengths and weaknesses, and it is the vendor manager’s responsibility to match the right company with the desired performance characteristics. Failure to consider this comprehensively could lead to complete failure. Managing Vendors – On a daily basis, vendor managers must monitor performance, provide feedback, champion new projects, define or approve/disapprove change control processes, and develop vendors. There’s a tremendous amount of detail to this aspect of the discipline, and we’ve covered this in many posts here. Consistently Meet Goals – Operations must perform within statistically acceptable upper and lower control bounds. Everything the vendor manager does should focus on meeting goals, from providing forecasts to defining requirements, from ensuring vendors have adequate staff to ensuring the staff have completed all required training. Now a day’s vendors are not just treated only as the supplier, they are now a days working like the partners. Most of the organizations in recent days not only dealing with vendors as strategic partner, but also working for their development to ensure smooth flow of product or service. Smooth and on time supply of product also ensures the smooth running of any kind of business. Furthermore, currently many well known organizations are practicing JIT in their business, which is never possible without a sound vendor management system. Its importance has increased along with the increased scope in the field of vendor management. It has opened up new scope of business. Now there are some organizations that are doing business by dealing only with the vendors of different organizations. They deal with all types of vendors of those organizations and ensure them there required product and service on time. Those organizations deal with only one organization as their vendor (vendor management firms) which saves time and cost for the organization. Fundamentally, proper vendor management is nothing more or less than risk management. This step requires the organizations to identify the importance of the function to the organization, the nature of the activities the vendor will perform, and the inherent riskiness of the activity. The more risky the activity, the more important the need is for diligence in selection, in contracting, and in supervision and monitoring. Of course, for regulatory purposes, the process of risk analysis must be carefully documented. To properly assess the importance of the function to the organization, it must first analyze how the outsourced function meets the business needs and strategic objectives. What would be the effect on the institution if the function failed or was not adequately performed? Will outsourcing this function cause dependency on the third-party provider for an essential function? Are there other potential vendors that could quickly provide the same service if the current vendor fails? Is the organizations are able to adequately oversee this outsourced function? The intensity of due diligence required in selecting a vendor will depend on the results of the risk analysis the organizations completed in deciding to contract with a vendor to provide goods or services. Due diligence requires a reasonable inquiry into a vendor’s ability to operationally meet the requirements for the proposed service and an inquiry into the vendor’s financial ability to deliver on its promise. Financial institutions should also question operational issues such as staffing, expertise, and the vendor’s internal controls. What is the quality and experience of the staff? Are there sufficient employees to meet the financial institution’s expectations for performance? Are the managers competent and familiar with the industry? Are employees and management well trained? Does the staff turnover quickly or is it stable? How long has the vendor been involved in providing this service? Does the vendor provide this service to other financial institutions? Are there user groups or references that the bank can consult concerning quality? How do these references assess the quality of service performed by the vendor? Does the vendor rely on third parties or partners to provide the services? Does the vendor have information concerning the expertise of these third parties? What is the reputation of the business? Has the vendor been involved in litigation that casts doubt on its ability to provide the services in the manner required by the bank? Is the vendor aware of any bank regulatory requirements and other legal requirements relating to its goods or services? Depending on the organization’s risk analysis, it should consider on-site visits. If the vendor is geographically distant, will that distance affect the cost or quality of service? What are the vendor’s security precautions concerning the bank or bank customer’s confidential information? What are the service provider’s standards, policies, and procedures relating to internal controls, record maintenance, background checks on employees, and physical security of its operations? What kind of internal audit is performed at the vendor? Are there internal audit reports or internal control evaluations available for review by the bank? Does the vendor have contingency plans in place? In performing its due diligence, the financial institution must consider the financial condition of the vendor. It should analyze any available audited financial statements. If audited financial statements are not available, the vendor’s most recent and year-end balance sheet and income statements should be examined. If adequate financial information is not available for the vendor, the lack of information should be considered a risk in the assessment of the vendor. In addition to financial information, the existence and adequacy of insurance coverage should also be questioned. Does the vendor have fidelity bond coverage, liability coverage, fire, data loss, document protection, and other coverage in amounts deemed adequate for the services the vendor is to perform? Will the bank’s contract with the vendor require the vendor to make additional investments in personnel or equipment? Can the vendor easily absorb any such additional investment? A strong contract with a significant vendor is essential to properly managing the relationship. Even relationships with vendors that provide low-risk services can, and often should, be defined in simple form contracts. All contracts should be in writing and, to the extent applicable, should cover expectations and responsibilities, the scope of work and fees, type and frequency of reporting on the status of work involved, process for changing scope of work, ownership of any work product, an acknowledgement that the vendor is subject to regulatory review, privacy and information security, a process for ongoing monitoring, and supervision and dispute resolution. Legal counsel should review all significant contracts. A common problem with many vendor contracts is that the expectations and responsibilities of the vendor and the financial institution are not adequately communicated. When problems develop, resolution becomes very difficult, as each party insists that the other is responsible. Performance standards should likewise be included in the contract. What tolerance does the financial institution have for errors? If the contract is a technology contract, a service level agreement (SLA) is essential. An SLA will establish the performance standard and service quality expected under the agreement. For each service covered by the SLA, it should provide for an acceptable range of service quality, a definition of what is being measured, a formula for calculating the measurement, and penalties (or credits) for meeting or exceeding targets. Vendor contracts must also include references to the organization’s right to monitor the performance and condition of the vendor. It should require the vendor to submit appropriate reports, including financial reports, audit reports, and internal control reports, depending on the risk assessment for the subject of the contract. The term of the contract is another essential factor. The regulators are increasingly clear that they are concerned about the use of long-term contracts, especially in technology agreements. Technology changes rapidly and organizations need the flexibility to change providers if the chosen vendor fails to keep up with current practices. An organization must provide in its contracts for the ability to monitor vendors during the term of the contract. To adequately supervise a vendor, an officer must review and be accountable for the performance of the vendor. How much supervision is required is, of course, dependent on the institution’s assessment of the risk of the particular service being provided. The staff assigned to oversee each vendor should have the necessary expertise to do so appropriately. Monitoring and supervision should include ongoing (at least annual) review of the vendor’s financial condition and insurance coverage, including a verification that the insurance coverage represented to the bank are in force. The vendor’s policies relating to internal controls and security should be reviewed and some method of determining whether the vendor is following such controls should be developed. Review and monitoring also requires an assessment of whether the third party has provided services in accordance with representations made in the contract and in accordance with applicable regulations and laws. The vendor’s contingency plans should be reviewed to be certain that they remain in place and have been adequately tested. The true purpose of a vendor management program is to maintain quality vendors and quality relationships with those vendors to operate the financial institution efficiently and well. In addition to that purpose, each financial institution must prove to its regulator that vendors are managed efficiently and well. As compliance officers know, to satisfy regulators, documentation is paramount. Document the risk analysis engaged in at the time a decision is made to engage a vendor. Document the due diligence performed. Require effective contracts and maintain up-to-date versions of the contracts (complete with all amendments) in a place where the bank and examiners can easily review them. Document the process of monitoring and reviewing each vendor’s performance. Report significant vendor relationships to the board of directors on at least an annual basis. Vendor management is complex and indeed cumbersome and annoying. Properly implemented, however, it can save the financial institution money, loss of reputation, failing to provide core services in a quality manner, and regulatory headaches. Many variables make navigating outsourcing contracts challenging and confusing. Contract reviews are detailed assessments of a potential or existing contract’s favorability for a company. They are useful in determining whether the deal is advisable, what are the best areas to focus on while signing up for renewal, and which contracts can be exited most easily during a Vendor consolidation. Contract reviews facilitates new deals, re-negotiations, and exiting relationships. For existing contracts, timely contract reviews help in assessing the contract performance and identifying the areas of improvement/opportunities/potential threats that determine the favorability of the contract. The provision for periodic contract review is essential for longer engagements. This provides an option to fine tune your baseline and optimize your spends based on actual utilization and changing market trends. On the other hand, a new contract review assists in effectively comparing solution offerings of different vendors and selecting the right vendor. An experienced Sourcing Advisor can aid in taking a more selective sourcing approach that meets specific objectives while maximizing savings. Solution Competitiveness – When there is more than one competitive bid, which one is best for you? Price Competitiveness – Is the deal fair financially when compared to market pricing? Accuracy of Scope – Is the contract scope in line with your business and financial objectives. Example: mix of services, delivery vehicles, and level of services. Appropriate Service Levels – Are the service levels fair, measurable, and enforceable? Terms and Conditions – Are the all terms and clauses, like exit clauses, favorable? Are any important clauses missing? Service Delivery Platform – Is the technology and delivery architecture used by the vendor to provide services aligned with contract standards? Others – Are there any missing items or anything misleading? Example: scope mismatch between financial proposal and technical proposal, etc. In managing vendors, contract management is one of the most important step, negotiation and renegotiation is required so many times in business. Currently the best Practices for Smooth Contract Renegotiation consist of some clear rules are widely appreciated. You should be aware of all the aspects of the deal and should have a detailed understanding of your business requirements so that relevant levers in the agreement can be pulled, to achieve the stated objectives. That means spending ample time with your business leaders for understanding their needs; synthesizing their input; and translating those needs into a set of goals that need to be achieved through renegotiation. Review performance levels both internally and with the vendor. Determine whether the intended objectives have been achieved or not, and if not, why not. Bring out the points of concern in the renegotiation meetings with your vendor. The success or failure of an Outsourcing Contract is dependent on effective vendor management and the governance structures which have been put in place. Set out and agree clear rules with your vendor before you start the re-negotiation process. These should include a charter of behaviors and principles to be applied throughout the process, the number of senior-level people to be involved from client and vendor side, and a timeline for calling off the renegotiation process. You should be armed with plenty of facts and figures to make your business case. Do a detailed review of your services and have a clear picture in mind as to what are the business objectives that are to be achieved through this contract. Work on a collaborative discussion with your Vendor that brings out your concerns and goals as well as ways to manage them. Do not re-negotiate a contract using only the account, service management and governance team on both sides. They are typically focused on short term issues and actions; and lack the executive mindset and big-picture view. Your team should be aware of your wider business needs, and not just immediate requirements. Hence identify and engage a corporate leader to act as the focal point for your negotiating team. Also ensure that your Service Provider’s corporate team is aware of your goals and is engaged at every step of the process. If criteria such as end-user satisfaction and service level agreements are being met, and the contract is meeting your needs, the agreement with your existing service provider can be extended. However you still need to figure out latest developments and important amendments and build them into your existing contract. A rigorous external benchmarking exercise is critical to achieve this understanding. An Advisor can help you negotiate the best extension with their in-depth market insight and benchmarking experience. To give a generalize idea of vendor management system for direct and indirect procurement of NSN BD Ltd. Recruitment and Selection Process in Nestle Bangladesh Ltd.